A family saga and a self-portrait of a writer who witnessed the birth of a nation and lived through its turbulent history. 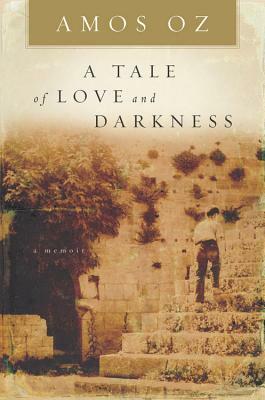 Oz's memoir, A Tale of Love and Darkness, thought to be the biggest-selling literary work in Israeli history, is an exploration of why his mother killed herself, and the effect on him, a sensitive, intelligent boy growing up in Jerusalem during the last years of the British mandate and the war of independence. It is one of the funniest, most tragic and most touching books I have ever read … He reveals a huge talent for the big narrative picture, for Dickensian character portraits and an expert fusion of history and personal life … Oz's book is a testament to a family, a time and a place. And throughout it there is the voice of the child who, 50 years later, still cries out for his dead mother. [Oz’s] memoir, in a translation that preserves the author’s gorgeous, discursive style and his love of wordplay, is a social history embedded within an autobiography … The book is a modernist collage. At times, Oz gives it entirely over to its constituent characters and their stories and soliloquies. The structure leaves Oz prone to excessive digressions and redundancies, some of which come across as either unintentional or unintentionally jarring. In these sometimes meandering asides, Oz seems to be asking the reader’s indulgence. But he richly rewards a patient audience over the bulk of this sophisticated and searing memorial. What did you think of A Tale of Love and Darkness?